Need a sip of wine? 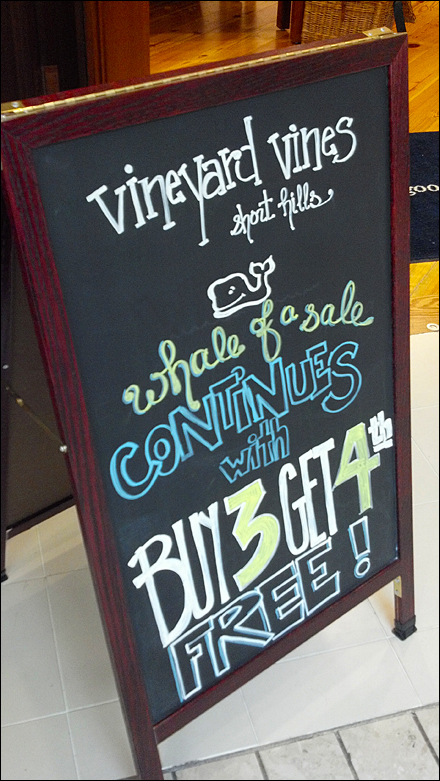 Don’t miss this Whale of a Wine Sale in Short Hills, New Jersey. The slab serifed “Vinyard Vines” typography and other hand-lettered font choices may not be sophisticated, but they get the chalkboard communication job done. 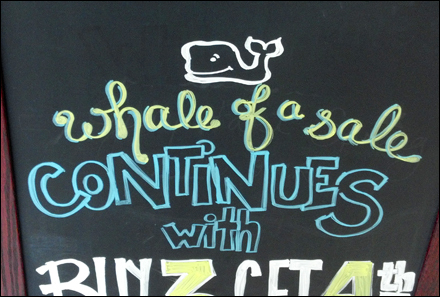 And the cute smiling Whale sketch adds a touch of whimsy. Frankly I would have drawn the Whale bigger, as an unusual visual “attention compeller.” CLICK the thumbnail for an alternate view.